I just found this book that will become a best seller in San Miguel the home of the sick, the old and non spanish speakers. 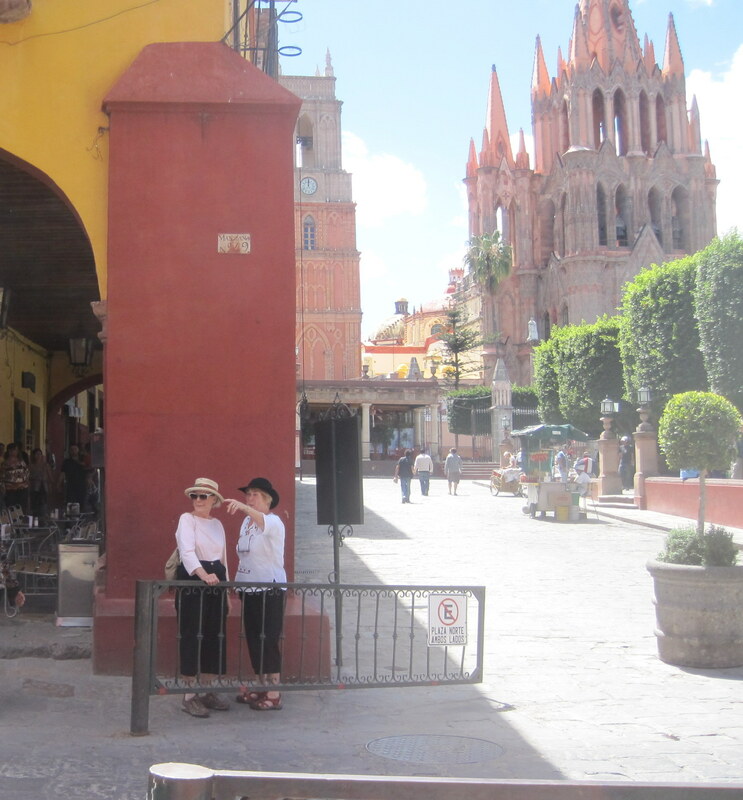 Since I have been in San Miguel every January for the last three years and am not going until late February this year and because my friend Jenny just arrived, I had to do a post celebrating all the Snowbirds who are arriving. These two ‘gals’ have just arrived and are orienting themselves. Notice the new hats and the San Miguel point. No doubt they are pointing at something magical or a single man. See Anne Nicolai’s comment below about the dangers of pointing to single men.